Single gender or co-ed? how do you choose the right option? Many prospective families are curious as to what makes an all-girls, overnight experience special or at least different to a co-ed camp. Single gender camps have long been a tradition in youth camping. The majority of the earliest programs were established just for boys or for girls only. 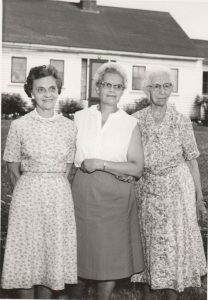 We imagine that back in 1907 when Ms. Weiser and Ms. Pond were establishing Camp Runoia for Girls it was likely highly frowned upon for boys and girls to be camping out in the Maine woods together! We relish our long and strong tradition of girls attending sleep away camp in Maine and primarily being led by women. A history of female leadership. So why do girls enjoy a single gender experience? 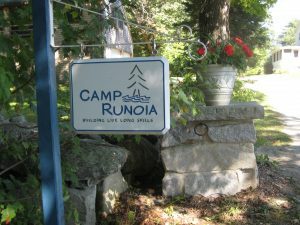 Many Runoia campers welcome a change in dynamic from their co-ed schools. Often girls will say that they can be themselves at camp. They enjoy not feeling any pressure to look or dress a certain way. At camp the playing field is even and all opportunities are available to everyone. There are no gender specific activities and the prevailing sense is that girls can do anything. With the majority of the staff also being female there are many different types of role models and the opportunity to learn from slightly older young women who are in college. Once you pass the Camp Runoia gate you’ve made a little date with fate. There is a perfect camp fit for every child and a myriad of options to choose from. Focusing on your child’s strengths and personality traits rather than the perception of what a ‘perfect’ camp may be will help to narrow down those choices. Your old summer camp that you attended 30 years ago may be perfect for the next generation or they may be better suited to a different opportunity. Knowing where your child will thrive best and then asking questions to see if the camps you are choosing will be a good match is crucial to everyone’s happiness. We are always happy to chat about what makes Runoia a special place for girls to grow and you can check out our philosophy on our website.